CAN CHIP KELLY SUCCEED IN THE NFL? At this point I would say it is almost certain that the head coach of the Oregon Ducks will be moving on to an NFL team in the near future. The combination of many NFL head coaching vacancies, and his last foray into almost being an NFL coach, lead me to believe he will make the jump. Kelly has been successful in his last two jobs (New Hampshire and Oregon), mostly due to the creative variations of the spread offense that he has helped develop throughout this time. In his transition to the NFL, I do not think that he can completely bring this scheme with him and be successful. Some aspects will work. Some will not. We saw the Ducks lose to a disciplined, and very talented (yes, I am biased. The statistics are not.) Stanford Cardinal team this year that dashed their hopes of another shot at the BCS title game (they lost to Auburn in the BCS Championship after the 2010 season). We’ve seen Robert Griffin III be successful using similar schemes this year in the NFL, so I’m not saying it can’t work. I just don’t think it will be as effective. Regardless, the best head coaches in the NFL understand that hiring bright coordinators, and motivating their team are key parts undertaken by the head coach (often more than play-calling or scheming for opponents, though they obviously have the power to give input if they desire). In this regard, I think Kelly can be successful. I have not seen him work on a daily basis, but I have been on teams that have lost to him (multiple times in fact). His teams are well prepared, and are especially tough after they make halftime adjustments (see 2010 Stanford @ Oregon). There are many factors that will decide Kelly’s eventual success or lack thereof: the team that hires him, the talent level on the team, schemes, coaching hires, etc. I just hope I don’t have to watch him make defenses look as silly as he did in the college ranks. –Read Books: I actually enjoy reading. However, I feel like my free time is better spent watching film or being proactive in the training/weight rooms during the season. When I do get a moment or two before going to sleep, I’m currently reading “The Talent Code”, a very interesting book about how talent is developed in anything from playing an instrument to playing on the pitch (for American readers who don’t have a quarterback who once lived in Europe and still loves soccer… a “pitch” is also known as a soccer field). –Learn More Business Jargon: I’d like to run my own business someday when I am finished with football. I have basic knowledge of macro and microeconomics (despite my grades in the classes offered at Stanford), but want to better understand how to improve a company on a day-to-day basis. I actually applied to a program offered by the NFL to learn about Entrepreneurship and Business Management. My fingers are crossed that I’ll be accepted. Hopefully this desire will also cross over into my plan to read more books. Have a suggestion? 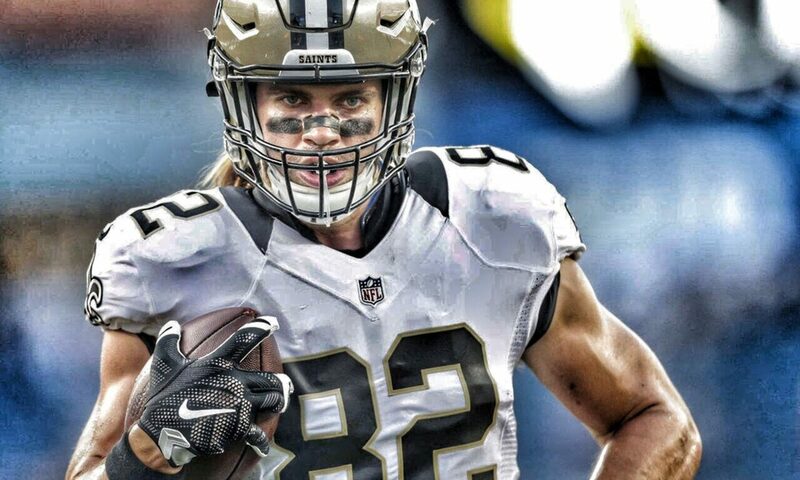 I’d love to read about it in the comments or you can tell me via Twitter @CobyFleener. –Relax: Rookie year is tough. Not because the game is faster, or the hits are harder (both of which are true), but because from the start of your final season in college through your rookie year in the NFL, there are no breaks mentally or physically. Something extremely important is always looming in the near future: games that will be watched by scouts and impact your draft status, the NFL Combine, your pro day, the NFL Draft, Rookie Mini camps, OTAs, Camp, and FINALLY YOUR ROOKIE SEASON! Oh yeah, and the majority of that stuff occurs while you’re still trying to finish college! The “rookie wall” is basically mental fatigue; it makes it more understandable when you think about a rookie year being made up of two seasons combined. Side Note: Apparently players used to play in both the NFL (during the Fall) and USFL (during the Spring). This was an impressive feat both mentally and physically. 1. Congratulations to the Stanford Cardinal for winning the Rose Bowl. That’s three straight BCS games, and MORE IMPORTANTLY had an 84% Federal Graduation Rate (according to http://stanford.scout.com/2/1183346.html <<Read that if you’re wondering where your son should play college football). 2. This weeks practices have been on the turf fields (outdoors on Wednesday, indoors on Thursday) in preparation for playing in Baltimore. Despite being inside on Thursday, the opening of the large garage doors made it quite cold. 3. Driving in the snow for the first time in over five years has made me thankful my vehicle has 4 wheel drive! 4. Playing in freezing weather makes me think that all NFL stadiums North of… Miami should have retractable roofs like Lucas Oil Stadium. Hmm, my comment disappeared due to my lack of tech savvy so I’m going to try this again. If you want to read more and learn more about business Reality Check by Guy Kawasaki is a great read. It’s sort of like an all-inclusive business manual. Simple topics such as interviewing tips and presentation guidelines are discussed as well as more in depth topics involving business plans, attaining venture capital, building a customer base, market research, contracts, patents, etc. Most of the book is written from a technological product perspective that includes chapters on engineering and code, so that would probably interest you. It’s a quick read with a lot of useful information needed for going into the business world. Kawasaki writes with an effectvive sense of humor and uses sarcasm very well, which personally helped me retain more information. Hope this is helpful. Good luck in the Playoffs! After watching that game last night, I have to ask: Did you know about 1-point safeties? Agreed, Erica. I was in a webinar with Kawasaki last year and his business acumen and ability to teach seemed very high. The webinar was about social media, but I got the sense that he knew a lot more than just Google+ and Facebook. I haven’t read his books but I would like to soon.Great season, Coby, and love reading your blog!